A fabulous villa is the holy grail of a successful family getaway. You can all chill out, claim your own space and not fret about what time breakfast is served or whether your kids are annoying the honeymoon couple round the pool. A fabulous villa is the holy grail of a successful family getaway. You can all chill out, claim your own space and not fret about what time breakfast is served or whether your kids are annoying the honeymoon couple round the pool. Self-catering often works best for families especially if you have the kind of children who are fussy eaters. For parents who want a break from shopping for food and cooking, some villas come with pre-order services and a chef -- even if it's just for one or two meals, it makes a huge difference. 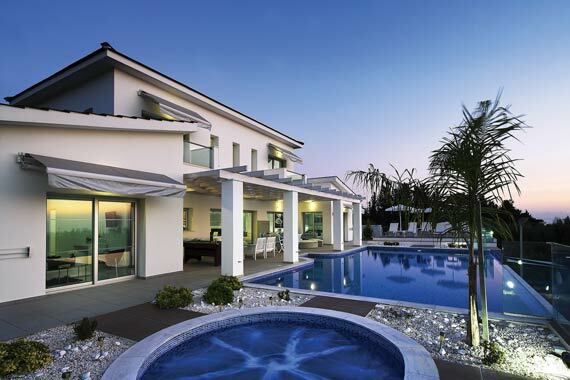 Villas don't have to be flashy, but they have to be welcoming and full of character, preferably with plenty of extra touches from packs of cards to private pools to entertain young and old. The location of this villa -- nestled into the maquis-scented hillside and situated halfway between Bonifacio and Porto Vecchio -- is hard to beat. The layout -- with the living area all on one level -- is very family-friendly. The master suite is the only room upstairs -- ideal for giving mum and dad some space. Facilities are excellent with a lovely large heated swimming pool and lots of outdoor space, with views stretching as far as the bay of Figari on the south west coast. Top feature: The Wi-fi access will be appreciated by older children keen to keep in touch with friends at home via social media. However, with some of the best beaches on the island within easy reach from the villa, there is plenty of incentive to get out and explore. How much? From £649 per person per week with return flights, car hire and a welcome hamper. 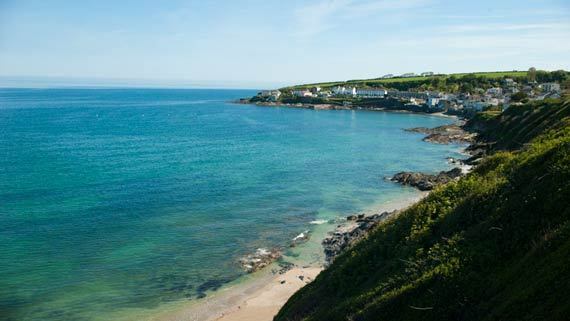 Kayaking, swimming, surfing, kite-flying, birdwatching and tennis are all available here, and if that doesn't tire the children out, arrange to take a boat trip to explore nearby caves. 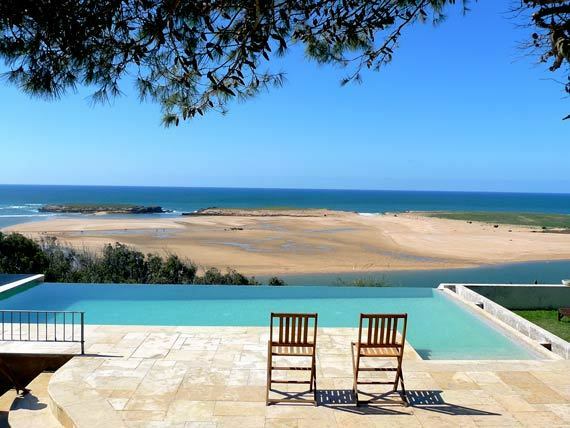 Villa La Diouana, sleeping eight (with a fourth guest bedroom in an annex), is a good value, family base on a high vantage point overlooking the Oualidia Lagoon and Atlantic. Traditionally plastered with tadelakt lime and brightened by splashes of color, its simply-decorated rooms are relaxing and stylish. Top feature: A high mezzanine bed, reached by a steep ladder. Be prepared for a fight over who gets this bedroom. Best for: All ages, but best for older children who'll love the range of activities on offer nearby. How much? £1,736 to £2,100 per week, with breakfast included. 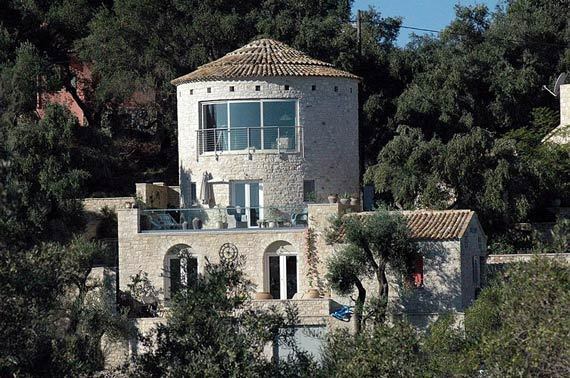 A delightful circular house with a round pool which will really appeal to adults and children. The vibe here is to be outside as much as you can -- even the kitchen is open air! But spending time in the uber-stylish interiors is also a joy as the rooms are round too! Walk down to the best beach on the island in 10 minutes and enjoy the decking and gentle sounds of Ben's bar where the barefoot chic of the island hang out, perfect for adults and children alike. Top feature: The island views and attention to detail like baby listening device. Best for: From babies to teens. 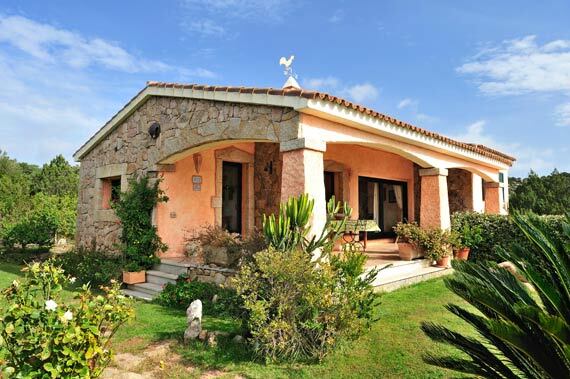 Peacefully located in the Galluran countryside between Arzachena, San Pantaleo and the beaches of the Costa Smeralda, La Mendula with its spacious grounds and private pool is a great setting for a family holiday. The accommodation is divided into two levels, each with separate entrances, two bedrooms, an open plan living/dining room and a kitchen -- offering what can be a convenient degree of privacy. Top feature: The lush Mediterranean gardens, additional lawned area, plus the private pool have to be the best features, plus the location offering the best of all worlds. Best for: Suits families of all ages but particularly suits those children who are old enough to appreciate the scope of the amazing grounds to explore & play in! Also, older children, such as teenagers or even twenty-somethings will appreciate the privacy that this villa can offer courtesy of its layout. From £429 per person per week with return flights from London Gatwick, car hire and a welcome pack. Overlooking the sea and surrounded by spacious gardens, Mermaid Cottage is the perfect place to host a large family or group of friends with its three double bedrooms plus children's dorm style bedroom at the top of the house. Mermaid Cottage boasts a fresh and modern roomy interior and features all the luxuries you would expect from a boutique hotel. With open plan living, dining and outdoor entertaining space this is the ideal spot for gatherings at anytime of the year - after a day at the beach enjoy a barbeque on the terrace outside or cosy-up in front of the wood burner as the days get cooler. Top feature: When you're tired of cooking for all the family, call on one of Boutique Retreat's private chefs to cater for you all. Best for: Multi-generational extended families. How much? From £1192 for a long weekend in winter through to £3990 for a week in the summer. Nestled on a hillside about 30-mins from the famous medieval walled cite in Carcassonne, Le Sarrail is a design-savvy parents dream. Here a sleek infinity pool, polished concrete kitchens and mid-century design classics nestle side by side with kids playhouse, trampoline, barn full of ride-on toys and a list of nursery equipment that could furnish a creche. Top feature: Ready-made playmates in supply since Ex-pat owners Becky and Phil live on the estate with their own two daughters who are under 10. Best for: An ideal retreat for boutique hotel addicts with tots in tow. How much? 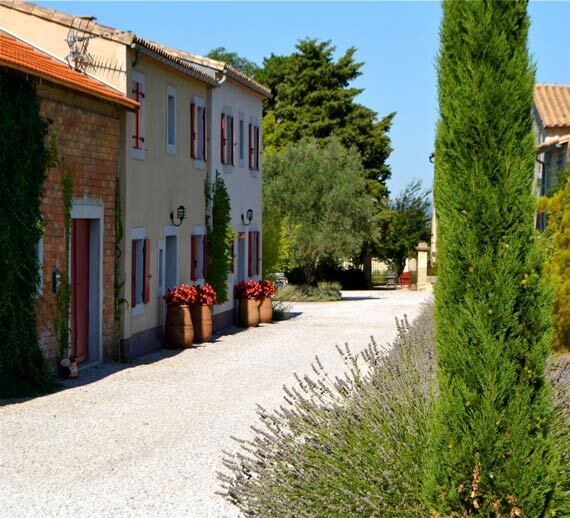 There are four houses to rent at Le Sarrail and prices range from €1,400 per week for a 2-bedroom house in Sept/Oct, to €3,250 for a 4-bedroom house in July & August. The villa's architect has cleverly harnessed its hillside location to capture the magnificent sea views and breathtaking sunsets from the upper floors, while incorporating a private tennis court, squash court, gym and sauna into the lower level. The magnificent infinity pool unfolds magically from between the pillars on the shaded terrace, blending seamlessly with the deep blue waters of the bay beyond. Top feature: A bright and airy first floor games room ensures kids of all ages are well-entertained, with table football, games console, air hockey, darts, TV and DVD player and an assortment of toys. Outside, you can shoot some pool, hold a table tennis challenge, try your hand at basketball or football, play tennis or head back inside for a game of squash, a workout in the gym or a relaxing sauna. That's if you can tear yourself away from the gorgeous pool area with its bubbling Jacuzzi, assortment of sofas, dining suites, barbecue and outside bar. Best for: Active families with tweens and teens. How much? Seven nights from £626 per person with return flights. This dreamy, pantiled villa overlooks in a classic Tuscan landscape of rolling hills, neat vineyards, tall cypress trees and sleepy hill towns. Siena, a couple of miles away, makes a good half- or whole-day excursion and there's riding, tennis or golf available nearby. But this place is mainly about long, lazy lunches under the pergola, accompanied by a bottle of local chianti, before curling up with a book or taking an afternoon nap in the shade. Top feature: The gated pool is a real holiday draw. Best for: A chilled out, poolside holiday for families with children aged from around six to 14 years. 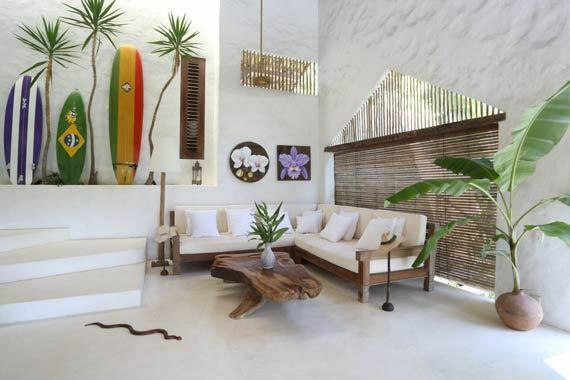 Trancoso in Bahia on Brazil's west coast has become something of a mecca for hipsters, but is also a great choice for a laid-back, family stay. Book Casa Quadrado, a divine hideaway with an infinity pool, sleeping up to eight in lofty rooms kept cool by slatted shutters and ceiling fans. Wooden furniture is specially commissioned from local artists. Your teenagers will love mixing with the in-crowd on the resort's grassy main square, lolling on the fabulous white-sand beaches and exploring shops packed with quirky handmade crafts. Activities close by include tennis, riding, biking and canoeing. Top feature: Daily maid service and an optional in-house cook. Best for: Older children, especially sociable teenagers who want a taste of South American cool. How much? From £3,248 to £3,605 per week. 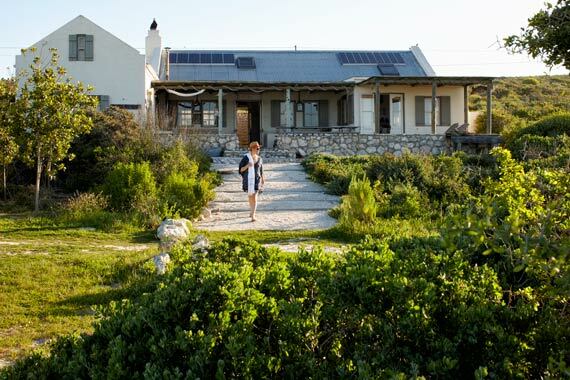 If you like the sound of an off-grid family holiday, Seagull Cottage in Churchhaven on the Cape's West Coast is paradise. This place is only an hour from Cape Town, but it feels far more remote. Expect candle-lit evenings and gas-based or barbecue cooking (the fridge runs on solar power). You have to bring your drinking water too. Oozing shabby chic charm and full of vintage knick-knacks, you couldn't imagine a cosier retreat after a day of fishing, walking and building sandcastles. Top feature: Without doubt, its unbeatable location next to a beautiful beach and blue lagoon.